Good news, captive orcas of SeaWorld San Diego! You get to retire your tap shoes and bowler hats as the theme park you call prison has announced a “less theatrical, more natural” killer whale show will debut this summer. You know what you don’t see in the wild? A giant mammal in a relatively tiny tank. SeaWorld’s above-water decorations are marketing ploys designed to impress visitors, but they do nothing for orcas. A ‘less theatrical’ circus is still one in which animals will be forced to perform for a reward of dead fish. Indeed. SeaWorld San Diego keeps 11 orcas with no plans in sight to halt their captivity or display. 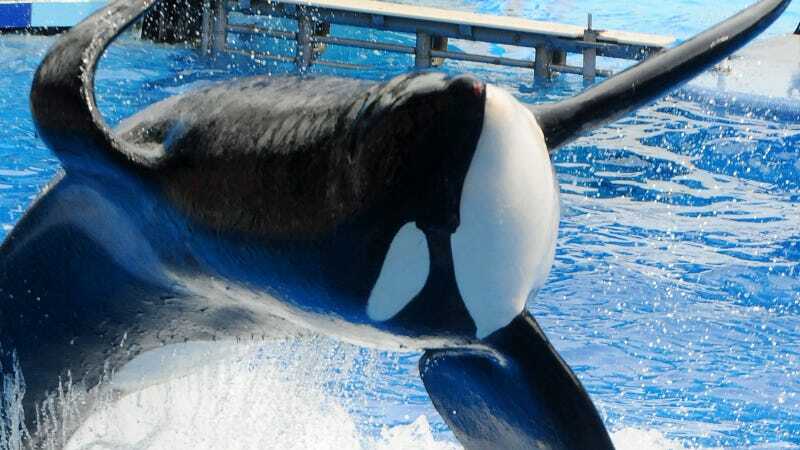 The company’s Orlando and San Antonio parks are expected to cease their orca shows in 2019.